NetApp storage technology will run in the Lenovo-branded systems, all of which will work with Lenovo’s XClarity management software used to manage the ThinkSystem server and network components. LENOVO TRANSFORM 2 — In a bid to fill a wide gap in its datacenter portfolio, Lenovo has turned to NetApp in what the companies described as a multibillion-dollar technology alliance and joint venture in China that will have major implications on both companies’ channel partners. 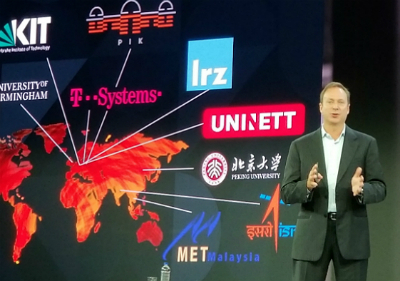 The partnership, announced at Lenovo’s Transform 2 event Thursday in New York, will result in the two companies co-developing solutions that bring NetApp’s all-flash and hybrid storage, and data-management technology to the ThinkSystem data-center solutions. ThinkSystems are the converged and hyperconverged servers Lenovo launched at its first Transform event, held last year. Lenovo used last year’s event to lay out a blueprint aimed at broadening its data-center business with the launch of the ThinkSystem and ThinkAgile server, storage and network platforms, building on its acquisition of IBM’s xSeries server business in 2014. The company has since added key networking assets and has a significant go-to-market partnership with Nutanix and became one of Microsoft’s first Azure Stack partners. But Lenovo has lacked the breadth of storage technologies that rivals Dell EMC and HPE offer. Under wraps for some time, the alliance has resulted in the development of 10 new offerings that are available immediately. By partnering with NetApp, Kirk Skaugen, president of Lenovo’s data center group, said that Lenovo will go from covering 15 percent of the storage market to 90 percent. 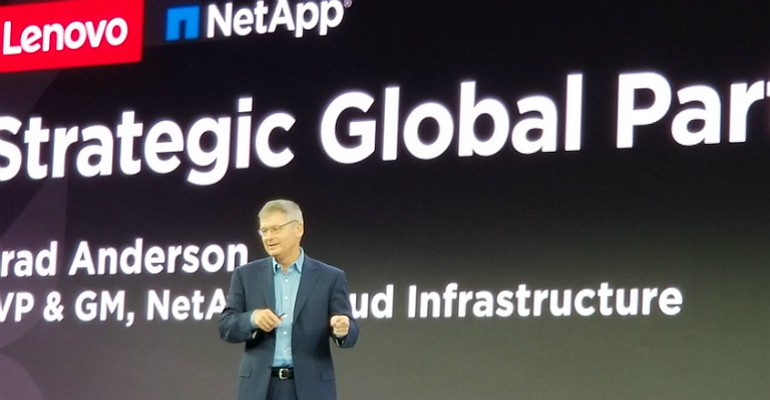 “You are going to see not just storage solutions launching today, but a set of solution recipes from NetApp that combine Lenovo servers and NetApp storage that are better together,” Skaugen said at the Transform event. Lenovo’s Kirk Skaugen on stage at the company’s Transform 2 event in New York City, Sept. 13. The new lines include the ThinkSystem DE and ThinkSystem DMhybrid and all-flash arrays. The 2U DE Series includes entry and mid-range systems. 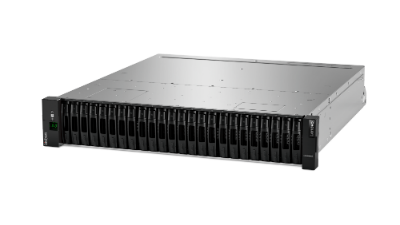 The ThinkSystem DM is available in two-node configurations that can scale to 12-array clusters with up to 28 petabytes of storage capacity. NetApp storage technology will run in the Lenovo-branded systems, all of which will work with Lenovo’s XClarity management software used to manage the ThinkSystem server and network components. The companies are promising that the partnership will have upside for partners of both companies. Analyst Patrick Moorhead, president of Moor Insights and Technology said it appears that the two companies have put together a deal-registration process that should minimize any channel conflict. “There was a lot of motherhood and apple pie, but it was apparent to me that they intend to take care of their channels,” Moorhead said. NetApp SVP Brad Anderson said the two companies’ channel ecosystems are highly complementary. Frank Blanco, VP of purchasing for Lowell, Massachusetts-based Howard Technology Solutions, said the move should make Lenovo more competitive. “I think it will put them in the game,” said Blanco, whose company provides infrastructure from all three players. “They are jumping on a very hot market, which is this hybrid cloud, multicloud world, and storage is a huge part of that puzzle,” said Bob O’Donnell, president and chief analyst with TECHnalysis Research. But the proof will be in the execution, he added. “These things are always wait and see for me,” he said. Lenovo and NetApp also are forming a joint-venture company in China that will develop storage and converged systems designed for use in that country. Lenovo will hold a 51 percent controlling stake and NetApp will hold the remaining 49 percent of the new venture, with the goal of becoming one of the top three storage providers in the world, Skaugen said. Creating a separate joint venture in China makes sense, Moorhead said, because of the nature of the market there.